Remember how last time we mentioned the ongoing Black Flag debacle, we speculated that the next piece of related news would be just as cringe-inducingly lame? Well, I’m not sure if this is quite as pathetic as the band apologizing for being such a catastrophe in 2013, but it’s pretty damn bad: bassist Dave Klein (also of Screeching Weasel) apparently left the band as early as December of last year…and forgot to tell anybody. Yup. 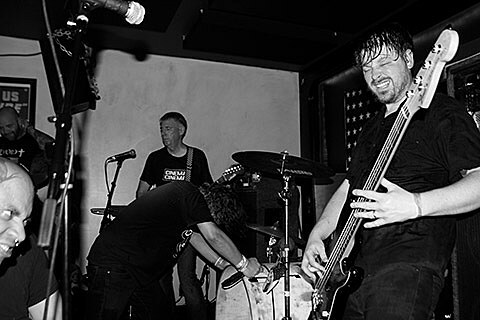 The “following post” Klein refers to is a Dying Scene post, dated December 2, about how he’s joined the Oklahoma-based punk band They Stay Dead. It makes only passing mention of his collaboration with Black Flag and says nothing about his status with the band. So yeah, Black Flag’s bassist quit the band and didn’t think it was a big enough deal to bother letting the press know. Alternately, it’s possible that Klein did tell Dying Scene that he was out of BF, and they deemed that fact insufficiently interesting to include in the post. Either way, that’s pretty dark.